Lyrics to the song He'll Have To Go as recorded by Bryan Ferry. If you want me answer "yes" or "no"
This song appeared on the Ultimate Collection as a previously unreleased track. The production credits suggest that it is left over from The Bride Stripped Bare sessions. The song was written by Jim & Audrey Allison and was made famous by Jim Reeves. 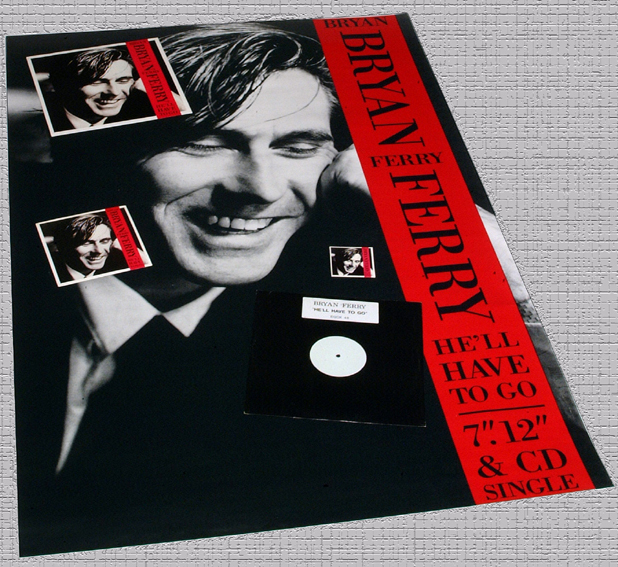 Bryan's version differs from Reeves 3/4 version and is more akin to the 4/4 version recorded by Ry Cooder. The song was relesed in 1989 as 7" c/w Broken Wings, a 12" c/w Is Your Love Strong Enough?, Windswept & Carrickfergus. The 3" CD contained He'll Have To Go, Broken Wings (on CD for the first time), Take Me To The River & Carrickfergus.